AUSTIN, Texas (February 12, 2018) – RedLeaf Properties, an Austin-based real estate development company and ACC’s partner in the Highland redevelopment project, is donating $250,000 to the Austin Community College (ACC) Foundation to support student scholarships at the college. ​What does it take to transform the shuttered highland mall—and its sea of parking lots—into a neighborhood? The entire highland redevelopment project is posi­tioned to reanimate not just the dead mall but also its immediate vicinity. ...About 200 miles to the south in Austin, Highland Mall is getting a different kind of makeover. It is being reincarnated as the 11th campus of Austin Community College, under a nearly $900 million public-private initiative that has stirred new life into the surrounding North Austin neighborhoods. RedLeaf Properties and Greystar Real Estate Partners have announced a joint-venture partnership that will deliver more apartments and more retail in a new multi-family project near Highland’s future main entrance and adjacent to the Austin Community College (ACC) District’s higher education plans at the former mall. How RedLeaf Properties is transforming Austin's old Highland Mall. When completed in the next several years, the redevelopment of Highland Mall in North Central Austin into a mixed-use community could be a nationally recognized prototype for success in the tricky niche of public-private partnerships. 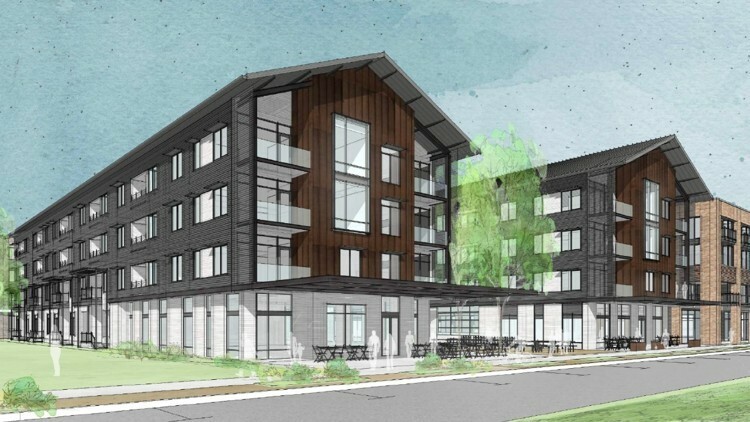 Redleaf is teaming up with multifamily heavyweight Greystar on a 300-unit apartment complex with 5000-sf of ground floor retail. Locally, Greystar has developed several notable projects including Lamar Union and is currently building a 350-unit mixed-use projectin the MLK Station TOD. Major new development will continue transformation of Highland Mall area. The transformation of Highland Mall continues with plans for a new mixed-use development. RedLeaf Properties announced Tuesday that it has teamed up with Greystar Real Estate Partners for a development on the southernmost part of the property. The four- and five-story development will feature approximately 300 residential units, 30 of which will be reserved for low-income residents. There will also be about 5,000 square feet of retail space for locally oriented businesses. The Highland project completely modernized the vacant and outdated 1960s-era JCPenny department store at Highland Mall into a place where this city's future leaders - its students - can flourish. The design and complex renovation was based on a submission for LEED Silver certification - however, the project is on track to get the gold. The Urban Land Institute has a strong national reputation for its awards in support of transformational land use developments, best real estate practices, and creative visioning. Award criteria go beyond good design, and also include leadership, contribution to the community, innovation, environmental sensitively, and financial viability. ULI award winners represent the highest standards of achievement in the real estate development industry. In many areas of the country developers are finding new uses for dead malls. Dunham-Jones keeps a database of projects that retrofit dying malls for other purposes, and says that there are 211 spaces across the country being retrofitted in one way or another. In a 2014 ULI Fall Meeting session titled “Repurposing and Repositioning,” developers and architects discussed how they are breathing new life into three very different obsolete retail venues. What the three properties have in common is that all were developed originally by the Rouse Company of Columbia, Maryland. The Austin Community College District (ACC) announces the purchase of approximately 18 acres of Dillard’s, Inc. property at Highland Mall for future expansion of college programs and facilities.